TWITTER HAS BECOME A key way for Members of Congress to communicate with their constituents, both on the campaign trail and in office. In fact, all but one of the incoming Congressional freshmen for the 114th Congress already has a Twitter account. Although many Congressional Twitter accounts are likely run by staffers, some (notably @ChuckGrassley) are run directly by the Member. In either case, these accounts are valuable sources of news and Member viewpoints. So, without further ado, Lobby Blog presents a list of the Twitter accounts for all of the freshmen Members in both chambers, compiled using data from Lobbyists.info. THE HILL HAS just unveiled it’s annual “Top Lobbyists” list, and LobbyBlog seized the opportunity, as it did last year, to speak with its wearied compiler-in-chief, Business & Lobbying Editor Dustin Weaver. It did not go unnoticed that the short time Weaver spared for these questions came at the expense of an impending print deadline, so many thanks are owed. Any typographical errors in the latest print edition of The Hill can be blamed squarely on LobbyBlog. LobbyBlog: Only two people are new to the list of top corporate lobbyists. Does this reflect the difficulty of breaking into corporate lobbying in Washington? Dustin Weaver: It reflects the fact that corporations don’t like to talk about their lobbying. The people who work for them usually operate behind the scenes and aren’t seeking to publicize their work. LB: The premise to last year’s list read that 2012 “hasn’t been the best year for K Street…” How has 2013 been? DW: It’s shaping up as another down year. Most firms are treading water when it comes to revenue, and there’s not much hope of things getting better before the midterm elections. Gridlock in Congress is the new normal, and it’s making it harder for lobbyists to drum up business. LB: What key characteristics distinguish the lobbyists who make the list from those who don’t? What is it that makes them so influential? DW: Influence, like charisma, is one of those things that can’t be quantified; you know it when you see it. Some of the Top Lobbyists are masters of policy, others are great at building relationships. Some have great access, while others shape the debate using grassroots organizing. People rise to the top in different ways. LB: One of last year’s big trends was the growth in the number of tech companies hiring lobbyists – Twitter, for example. Yelp just hired a lobbyist earlier this month. Is this an ongoing trend? DW: Tech is the new boom industry, and their growing lobbying presence reflects that. The bigger companies like Google and Facebook get, the more lobbying help they need in Washington. LB: Here’s an excerpt from Mark Leibovich’s This Town, which received a lot of buzz this year: “In 1974, 3 percent of retiring members of Congress became lobbyists. Now, 50 percent of senators and 42 percent of congressmen do. No one goes home anymore.” Can you expand on this? DW: Law and lobby firms definitely place a high value on the insider knowledge that only lawmakers can provide. Why more lawmakers are choosing to make the jump to K Street, I can’t say. But as a career move, it seems to be more acceptable now than it used to be. 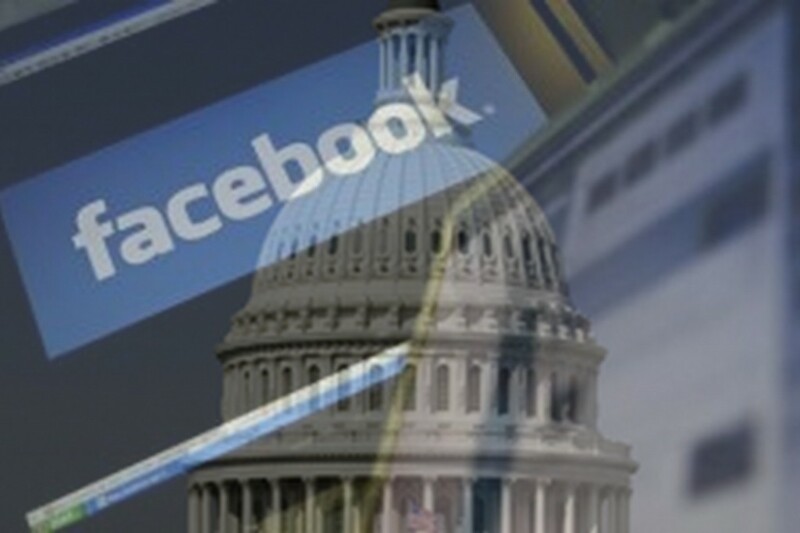 A new study by the Congressional Management Foundation found congressional staff say Facebook is most effective social network for connecting with constituents. Of these social media platforms, Members and staffers look to Facebook as the preferred method of connecting with constituents online. With 74% of those surveyed saying Facebook is somewhat or very important for communicating Members’ views, the social network has a slight edge over YouTube (72%), which has been popular as video becomes an increasingly prevalent forum for disseminating messages. Just over half of respondents (51%) say Twitter is somewhat or very important for the same purpose. While offices seem to value all three networks for getting their own messages out, the impact of social media on the Members’ ability to gauge the needs of those they represent is lessened. When asked about the importance of the online tools to helping Members understand constituents’ opinions, 64% say Facebook is somewhat or very important to this task, 42% say the same about Twitter, and only 34% feel YouTube is an important tool to collect constituent beliefs. Bradford Fitch, CEO of the Congressional Management Foundation, told USA Today that social media tools are more prevalent and have been more readily adopted by members of this Congress than email or fax communications. “These technologies are starting to change how Congress communicates with their constituents and is allowing members to reach citizens who otherwise might not engage in democratic dialogue,” he told USA Today. There is, however, still a generational divide over the topic of social media in Congress: two-thirds of staffers under 30 say engaging on social media is worth the offices’ time, compared with only one third of those 51 and older.